‘Tis the season for tinsel, gift giving, sparkling lights, holiday music, and holiday parties galore. Take part in the festivities this year by hosting your very own holiday gathering at a luxurious event space in Fort Lauderdale. 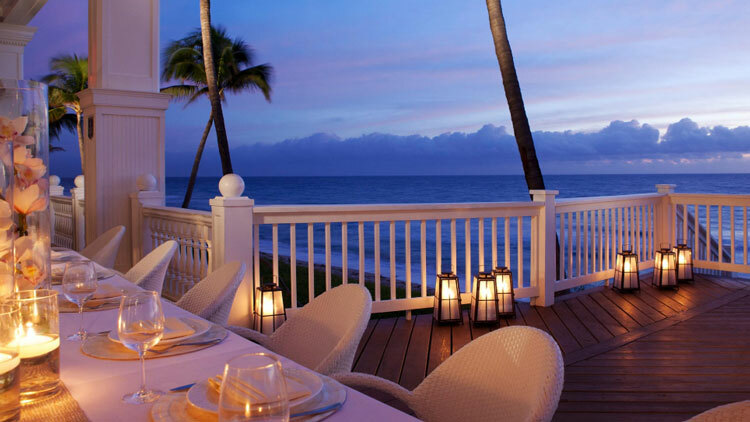 From yachts traveling through canals to modern hotels with ocean views, and historic estates to lush garden oases, these event venues in Fort Lauderdale are sure to impress and cater to your particular hosting needs. Whether you’re throwing an intimate holiday cocktail party with friends and family or planning an extravagant corporate dinner for hundreds of employees, consider these spectacular event spaces in the city. Nestled in one of the oldest sites in Fort Lauderdale, the Historic Maxwell Room has a rich history dating back to 1925 when it was originally titled the Maxwell Arcade after its developer, Fred Maxwell. It has since been used for a myriad of businesses, including photo shops, attorney’s offices, restaurants, and recording studios. Today, the space is used for events, including holiday parties, weddings, receptions, corporate events, and more. Enter through a secret garden courtyard to reach the inside space, which includes a charming historic den, a gorgeous bar area illuminated with blue lighting, and elegant details throughout. The warm lighting and rustic brick elements make it the perfect cozy space for a holiday party! Take a look at the variety of packages available for purchase, including menus and buffet stations, bar packages, and other personalized services. Situated in the 28th floor of the Regions Bank building in downtown Fort Lauderdale, the Tower Club is an exclusive club with a gorgeous event space available for rent. The club provides private dining rooms perfect for all occasions, offering breathtaking city and ocean views, exceptional service, and quality cuisine. Plus, the professional staff at the Tower Club will ensure your event goes off without a hitch, as they will assist with the planning stage in addition to day-of services, including food, decorations, entertainment, and more. If you like your experience in this upscale space, you might even consider becoming a member of the Tower Club. Members enjoy 50 percent off à la carte dining at the club, access to a number of venues and special networking events, and other exclusive benefits. With 20,000 square feet of space, The Venue Fort Lauderdale is the perfect venue for entertainment on a grand scale. This upscale venue offers special features specifically designed to host events and corporate gatherings in a dynamic way. The building is outfitted with the latest technology in sound and lighting, plus a central stage ideal for entertainment. The Venue is comprised of five different rooms, which can be joined together or kept separate in any configuration to personalize your event experience. Some of the services offered include catering, entertainment, staffing, event coverage, production, and liquor packages. They also have a full kitchen to accommodate any type of cuisine imaginable. Consider this expansive venue for your next large-scale holiday gathering or corporate meeting! Take your event off dry land by hosting a party on board one of the vessels at Sun Dream Yacht Charters. This family-owned and -operated company offers a fleet of yachts ranging in size from 130 to 137 feet, each ready to fulfill your every need, from weddings to corporate parties, and birthday celebrations to other special events. 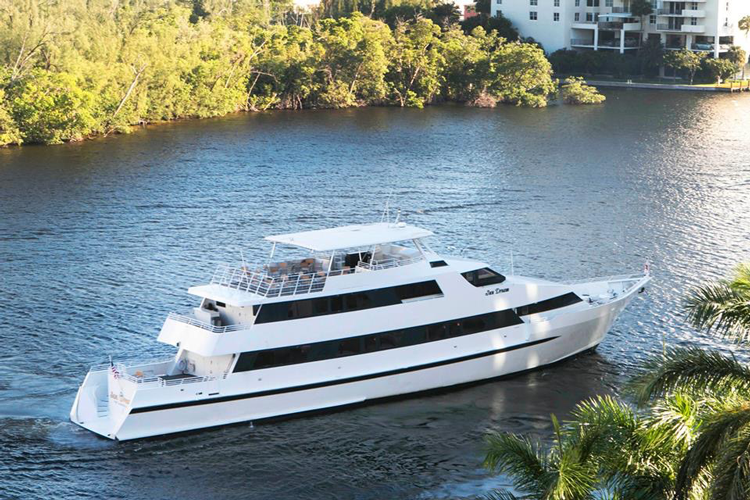 Cruise the sparkling waters of the Intracoastal for your holiday party, enjoying the changing scenery, cool breeze, and luxurious yacht amenities. Receive a free, no-obligation quote to start the conversation about your holiday party with Sun Dream Yacht Charters! 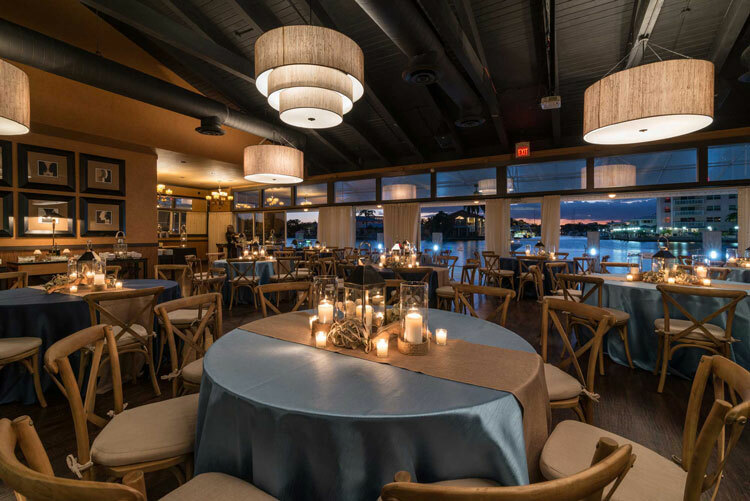 Situated along the scenic Intracoastal Waterway, Grateful Palate Catering & Events is an idyllic venue ideal for any occasion, from intimate holiday parties to extravagant weddings. The 4,000-square-foot space offers impeccable service and exceptional food and drinks, enhanced by sparkling water views. The elegant and intimate interior opens to the recently renovated dock, so guests may mingle under the stars and watch yachts pass by. Take your event to the next level with a variety of additional offerings, including access to the tiki bar and the outdoor oasis space. Experience a taste of history, art and stunning garden landscapes all at once at the Bonnet House Museum & Gardens nestled along the river. The Bonnet House was built in 1920 and now serves as a preeminent house museum dedicated to historic and environmental preservation. Host your holiday party at the Bonnet House to transport guests to the days gracious living, charm and whimsy. The event space is ideal for corporate affairs, cocktail receptions and dinner celebrations. The tranquil courtyard garden with a fountain makes for a lovely first impression as guests reach the adjacent waterfront veranda with outdoor seating and lush tropical foliage. In addition to being a luxurious waterfront resort, Pelican Grand is an excellent place to host your holiday gathering. The event spaces at the resort include a mix of more corporate spaces to host a meeting and formal areas perfect for a cocktail party or holiday dinner. Enjoy views of the serene ocean atop the starlit decks or through the expansive walls of windows. No matter the purpose of your event, the professional staff at Pelican Grand will ensure it goes off without a hitch! 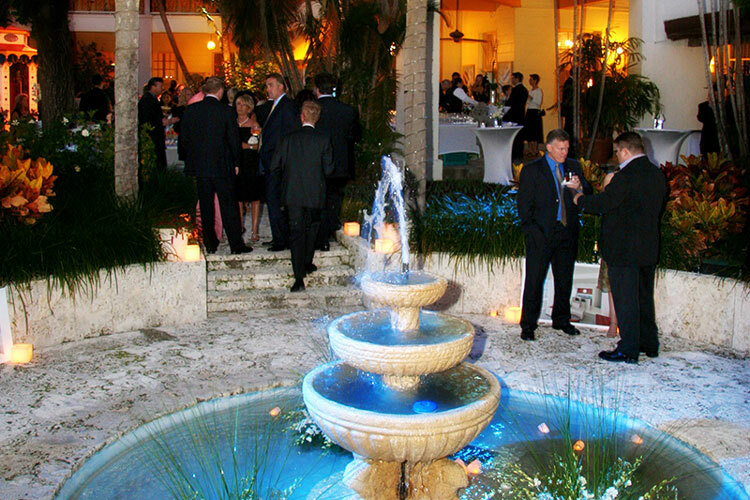 Situated just steps from the lively Las Olas Boulevard, the Historic Needham Estate is an opulent event space for both intimate gatherings and large-scale parties. Guests enjoy gorgeous views at this historic venue, both in the gorgeous 6,500-square-foot estate dating back to 1925 or looking out over the New River. The central location, unparalleled views, historic charm, and hospitable event services make this a desirable space for holiday parties. Plus, the Historic Needham Estate is the best spot in town for viewing the Winterfest Boat Parade! If all else fails, you can always host your holiday party at home! Looking for the ideal luxury home in the area? Search our impressive portfolio of million-dollar estates in Fort Lauderdale.